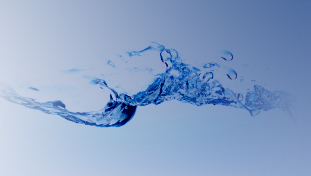 INDIANAPOLIS, November 12, 2013 -- Global Water Technologies (OTC Pink: GWTR) will present at the 2013 Water Management & Nano Energy Summit this week at Rice University in Houston. The summit will address state-of-the-art innovative solutions to the decades-old problems in the water and oil and gas sectors. These pioneering technologies are emerging rapidly into the market thanks to revolutionary breakthroughs in material science, nanoscience and computational power. In addition to Hromadka's presentation, the company's new WASIR subsidiary will also be featured in Boston at the Trenchless Technology Road Show, an event that highlights innovative construction and rehabilitation techniques for pipelines. Dr. Tom Iseley will be speaking on asset management for assuring sustainability in water and sewer systems and participating in a new certification training program developed by Indiana University Purdue University at Indianapolis (IUPUI) and the Buried Asset Management Institute - International. Iseley has more than 35 years of experience in the planning, design and construction of underground infrastructure systems and has been a leader in the development of trenchless technology solutions in North America.